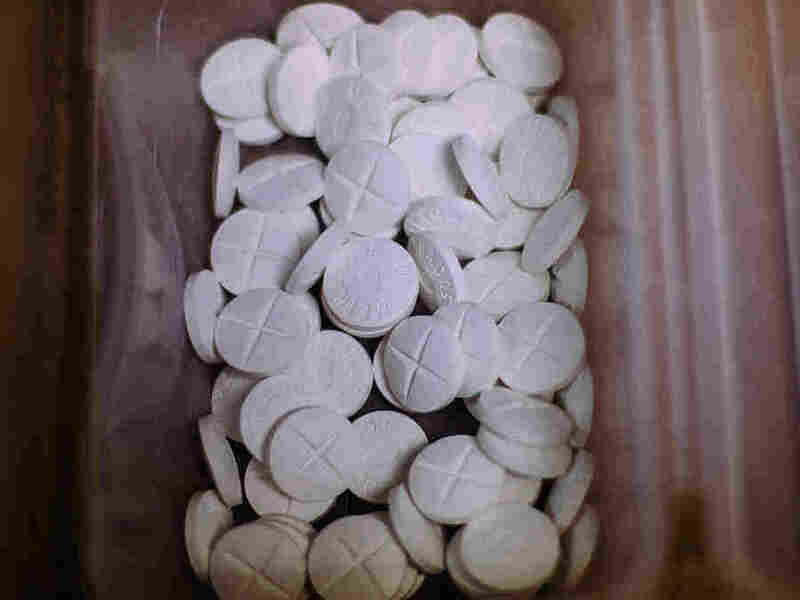 California Medical Board Opioid Investigation May Hinder Pain Treatment : Shots - Health News The Death Certificate Project aims to weed out doctors who are overprescribing opioids, but some physicians say the investigations are having a chilling effect on the legitimate treatment of pain. When a former patient died from a lethal combination of methadone and Benadryl, Dr. Ako Jacintho got a letter from the state medical board. About a year ago, Dr. Ako Jacintho of San Francisco returned home from traveling to find a letter from the state medical board waiting for him. The letter explained that a patient he had treated died in 2012 from taking a toxic cocktail of methadone and Benadryl — and Jacintho was the doctor who wrote the patient's last prescription for methadone. He had two weeks to respond with a written summary of the care he had provided, and a certified copy of the patient's medical record. He faced fines of $1,000 per day if he didn't comply. "I was horrified," Jacintho says. He hadn't known that the patient had died. "I became overwrought with sadness. And I was really just surprised that this had happened to this patient." The letter was one of more than 500 sent to doctors in recent years throughout the state, all part of the California medical board's Death Certificate Project. The board typically investigates doctors in response to patient complaints, but with this project, it proactively collected almost 3,000 death certificates of people who died of opioid overdoses, then cross-referenced those with the state's drug prescription database. Investigators are going back three years to identify any doctors who may have prescribed the drugs inappropriately, even if it was not the fatal dose, and send them letters. Doctors who are found to have violated state law face public reprimands, probation, or even revocation of their medical licenses. When Jacintho received his letter, his first reaction was grief. But then he grew afraid, then indignant. The letter seemed to presume he did something wrong — it used words like "complaint" and "allegation." But when Jacintho reviewed the patient's medical charts, he was convinced he didn't. Dr. Ako Jacintho was horrified to learn that a patient of his had died of an overdose and was surprised when the state started investigating him. "This person had intractable pain," Jacintho says, and at the time, methadone was a preferred treatment. Methadone is long-acting, and was considered to have less potential for addiction than other opioids. In particular, Jacintho says he takes issue with the board's choice of words in the letter: "over-prescribing," and "toxic levels." "Toxicity is a very subjective word," he says. "What's a toxic level for someone may not be a toxic level for someone else." It wasn't until 2016 that the CDC issued guidelines for prescribing opioids, telling doctors to start with low dosages and increase slowly. And when possible, use ibuprofen instead. But, back in 2012, doctors like Jacintho were being admonished to never leave a patient in pain. The California medical board's own guidelines from 2013 advised doctors that for certain types of pain, opioids were the cornerstone of treatment and should be pursued vigorously. "It actually says that no physician will receive disciplinary action for prescribing opioids to patients with intractable pain," Jacintho says. But now the medical board is using death certificates from 2012 and 2013 to discipline doctors. The timing of the investigation really bothers Jacintho, because in the six years since his patient died, he's totally revamped his practice. 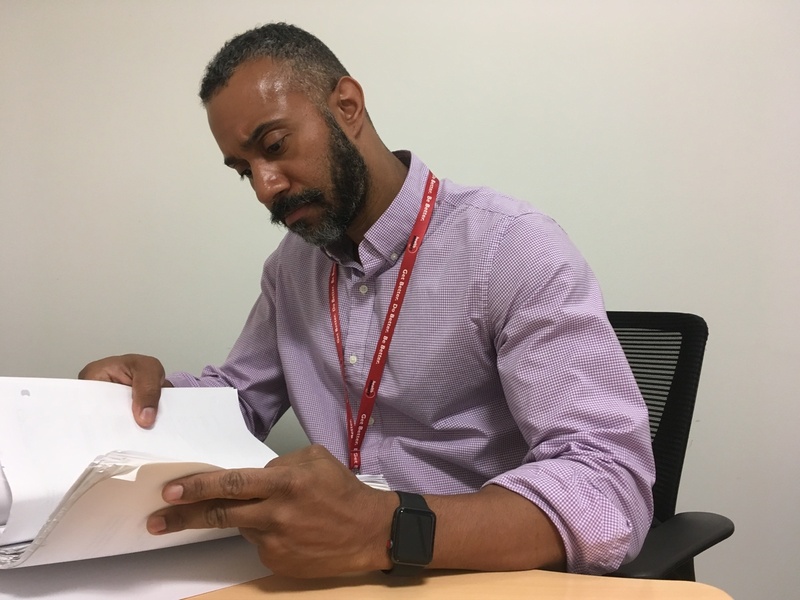 As a family doctor, he saw the opioid crisis coming. He had patients asking for more, stronger drugs, even though their pain stayed the same. So he switched gears, went back into training and got certified as an addiction specialist. "If they're looking for clinicians who are overprescribing, I'm the wrong doctor," he says. The executive director of the medical board, Kim Kirchmeyer says medical investigators take career changes like this into account, and they review medical records according to the standard of care that was in place at the time. "We understand that just because a patient has overdosed that that doesn't mean that the care and treatment provided was not appropriate," she says. But anytime there may have been a violation of the law, she adds, "we do need to look into it." The board is only punishing doctors who actually broke the law, she says — those with a clear and repeated pattern of inappropriate prescribing. "Individuals were prescribing drugs without even performing a history and physical exam," she says. These doctors never did any kind of testing, they didn't provide informed consent. "They don't have a treatment plan or objectives. They just continue to prescribe and prescribe." Investigators have so far completed investigations for about half of the 500 doctors originally identified as possibly deviating from the standard of care. The majority were cleared of any wrongdoing, and the board filed formal accusations against 25 doctors. But there are hundreds of doctors who are still waiting, more than a year later, to learn their fate. Ultimately, the medical board is a consumer protection agency, Kirchmeyer says, and this is about patient safety, not doctors' comfort. "If we save one life through this project, that is meeting the mission of the board, and that makes this project so worth it," she says. But it's unclear if the overall effect of the project will be good for patients. Some doctors, including Jacintho, have been so frightened by the letters that they've lowered their patients' opioid doses or cut them off completely. Some doctors are telling their chronic pain patients to find another doctor, according to the California Medical Association. This carries a whole new set of risks. "It's like leaving a pair of scissors in an abdomen after surgery," says Dr. Phillip Coffin, director of substance use research at the San Francisco Department of Public Health. "If you're just going to discontinue opioids, basically you're ripping out the scissors and telling the person: 'Good luck.' Let them deal with the intestinal perforation on their own." The CDC's 2016 guidelines on how to prescribe opioids are for patients who have never taken them before. But they include virtually no guidance on how to taper down doses for chronic pain patients who have already been taking high doses of opioids for many years. Preliminary research from the San Francisco Department of Public Health suggests some patients who are weaned off long-term prescription opioids are twice as likely to turn to street drugs. That increases risk of overdose. "Scaring providers into not prescribing opioids, I think that is not the ethically appropriate way to go forward," Coffin says of the California Death Certificate Project. Doctors in North Carolina reacted similarly — refusing to treat chronic pain patients — when the medical board there began proactively investigating doctors who had prescribed high levels of opioids, or who had two patients die of an overdose in the previous year. A federal prosecutor in Massachusetts also sent letters to doctors who had prescribed opioids within 60 days of a patient's death. While those letters were intended to be a "warning," rather than notice of an investigation, they also sparked fear among doctors. It was never the California medical board's intention for doctors to simply stop prescribing opioids, Kirchmeyer explains, and it doesn't want that outcome. She says board members have already learned some lessons on how to improve their approach: They've rewritten the letters so they're less accusatory. And, they know they have to move faster with the investigations. But the board is committed to the project. Kirchmeyer says after the board finishes examining the 2013 death certificates, it will start working on 2014.